Television has been called the new novel by media scholars. Women and men who wish to express themselves in modern times turn to the small screen as often as they turn to the written word or the film industry. John Wells Division of Writing for Screen & Television Professor Pam Douglas was ahead of the curve on treating television drama as an art form. Her book Writing the TV Drama Series was a pioneering work that treated TV as art and continues to be the go to instructional book for aspiring writers. On November 1st, Writing the TV Drama Series will receive a fourth edition. Fourth editions are rare in all of publishing and almost unheard of in academic books. “Not only is it a roadmap for writing all aspects of dramatic television, but it's a roadmap for a career” said chair of the John Wells Writing Division Jack Epps, Jr. “Writing the TV Drama Series continues to be the definitive work on writing for television. A must-read if you are serious about a career in television." Douglas is an award-winning writer with numerous credits in TV drama. 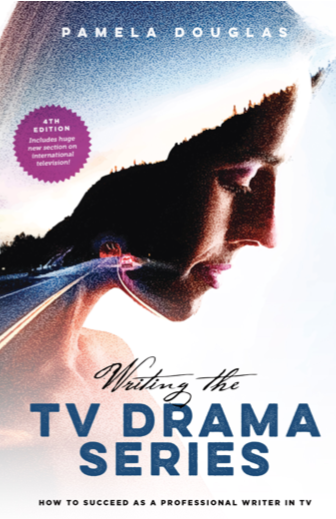 Previous editions of Writing the TV Drama Series have been adopted by network mentoring programs and published in translation in Germany, Spain, Italy, France, China, Taiwan, and Korea. She has lectured and given seminars internationally on creating for television. She has been honored with the Humanitas Prize for Between Mother and Daughter (CBS), an original drama that also won a nomination for a Writers Guild Award. Multiple Emmy nominations and awards, as well as awards from American Women in Radio and Television, went to her other dramas. She was a creator of the series Ghostwriter, and wrote for many shows including Star Trek: The Next Generation, which was named one of the top 100 shows by the Writers Guild of America. She has also been a member of the Board of Directors of the Writers Guild of America, West. At the School of Cinematic Arts of the University of Southern California, she is a tenured professor in the John Wells Division of Screen and Television Writing, where she teaches TV drama writing.